All of the siblings had so much fun goofing around together and after Lammie stuck her tongue out at Luke, you could tell where the kids get it from! The little kids were absolutely adorable and loved spending time at grandma and grandpa’s house for the afternoon. For the theme of landscape it was impossible not to immediately think of Lethbridge’s rolling coulees! 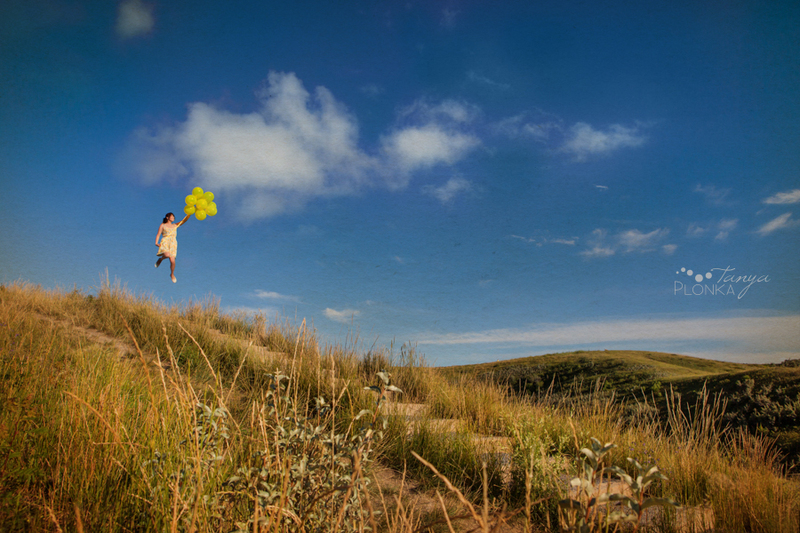 I love our huge open skies so I made Sarah fly a little (with the help of a bunch of balloons and Photoshop, of course). At the time of the photos, the canola fields were breath-taking so it was really hard narrowing down my final image between the two locations. This photo is part of the Lens Factor Photo Project in which 5 photographers were given teams of 5 models and given 5 themes to work with. The results were kept secret until all final images were revealed at once. I took a number of photos for each theme and my out-takes appear below! My model this time was Jenni. I’ve danced with her for a few years now and thought her tribal bellydance outfit and steampunk costume would be awesome to capture with film. We timed things perfectly to get the tail end of the canola fields being in season in Lethbridge and I’m so happy with how the film captured the colors. Jenni did a great job and I so appreciate her patience when the first roll of film died on us. 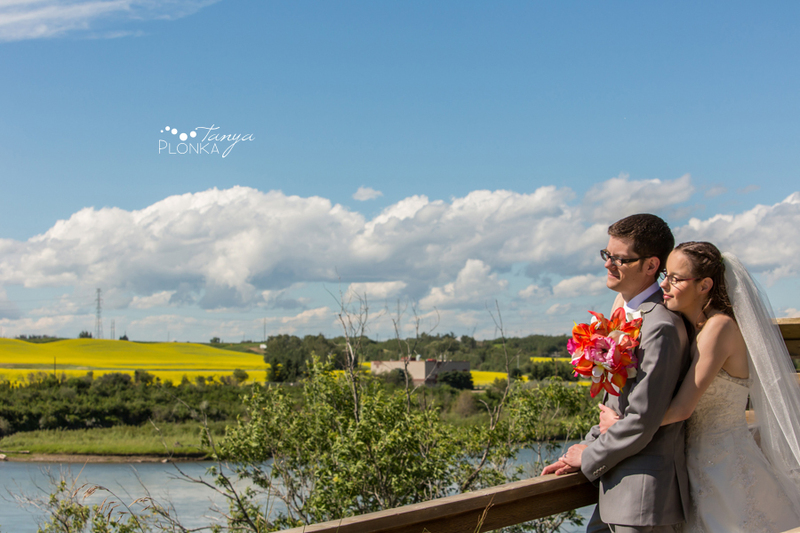 Last weekend, Cam and I made the trek up to Fort Saskatchewan for Cathryn and Jon’s summer wedding. I met the two of them during university and haven’t seen them in years, so it was great to finally catch up! They are just such a perfect match for each other, right down to their personalities and mannerisms. Jon broke from tradition by including a groomswoman and a groomsdog! His and Cathryn’s dog Scotty stole the show on more than one occasion that day and we had so much fun with their full wedding party. 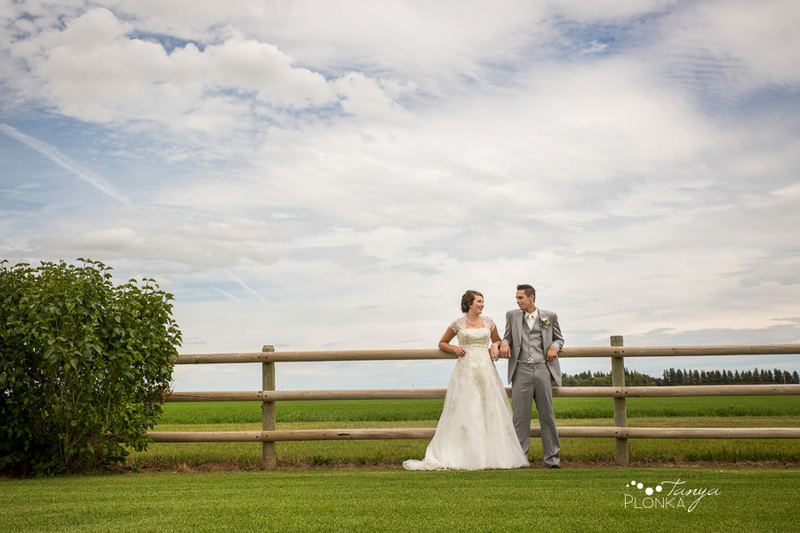 Jordan and Alyson had such a beautiful Lethbridge rural themed summer wedding with touches of wheat and wild flowers to complement all of the other vintage and lace details they included. They had their afternoon wedding ceremony at Marantha Church in West Lethbridge. The two of them were so amazing to watch. They could not stop smiling at each other and laughing with joy through the whole ceremony (plus a bit of happy crying, of course). For photos, they chose such a personal place: their own farm. The farm had such beautiful old buildings and lush green wild grass, making it such a gorgeous location for photos. Just down the road was Jordan’s family’s farm, which allowed us access into the bright yellow canola fields. I just love when canola is in season and so saturated like that!